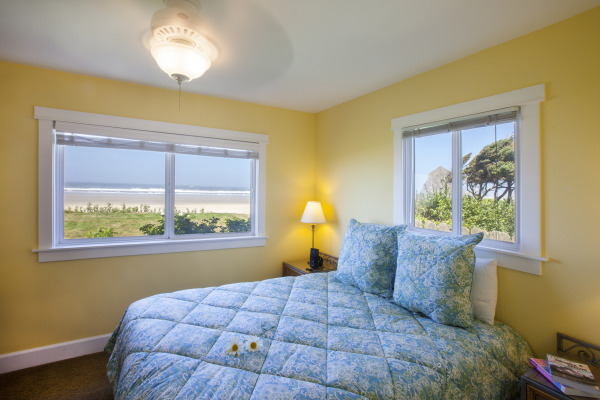 This ocean front two-bedroom cottage is located at our Sea Sprite at Haystack Rock Hotel. This stand-alone cottage is like having your own private beach house. 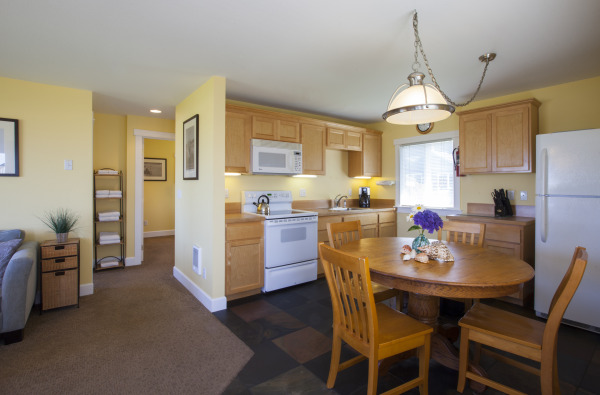 The cottage offers panoramic views to the south, north and of Haystack Rock. This unit has a full kitchen and with views from every room, your family and friends can relax in front of the gas fireplace or around the large kitchen table while enjoying the amazing scenery. Perfect for the whole family, the Sea Breeze Cottage has a queen-size bed in each bedroom and a full-size sofa sleeper in the living room. Sleeps 6 people. This ocean view cottage offers views of the Pacific Ocean and our lovely gardens. Our quiet location south of Haystack Rock provides a peaceful retreat for those looking for a place to replenish and renew.